I decided to do an "old school' trick and wrap my pipes with a resin cloth. I found a real nice guy on the internet that had just done his, and he agreed to send me his left over wrap for the price of shipping. Can't beat a deal like that! 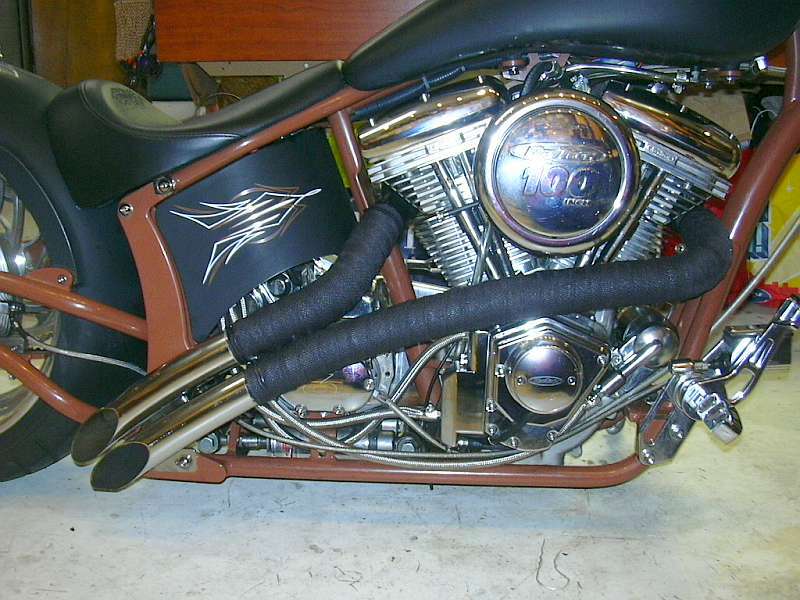 I marked off the ending point on the pipes and removed them from the beast. Prewrapping the pipes gave the length I needed and the wrap was cut and 'moistened' for the procedure. I wrapped the pipes, and using the kids help applied the c-snap clamps to hold it in place. It took about 2 days for the wrap to harden completely and than I hanged them from the ceiling. I sprayed an entire can of ceramic high heat exhaust coat onto the wraps and let that dry for about a day. I just finished installing them this morning and they look pretty tough. I am glad I did it. 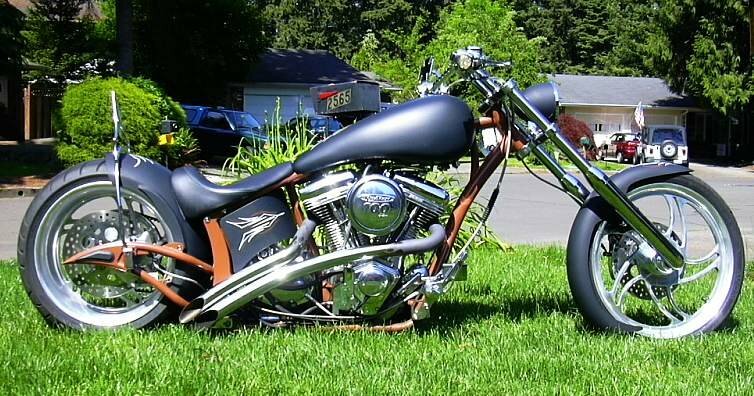 dude that bike is looking sweet. well i took your advice and added names to the drawing and I also posted a picture of my truck in my blog. I then added a myspace bored@home image to have popel add me as their friend haha. hope you likes. take it easy all those changes are on the first page. The bike keeps looking better and better each time! Those pipes are pimp like u muthafer. BBND----HOW LONG? FOREVER! Tell craziness- name the time and I'll be there with piece in hand. So you will show up for her, but not your "bros"? I think your the one that doesn't show--bro! Nice try, you had that coming, bro.